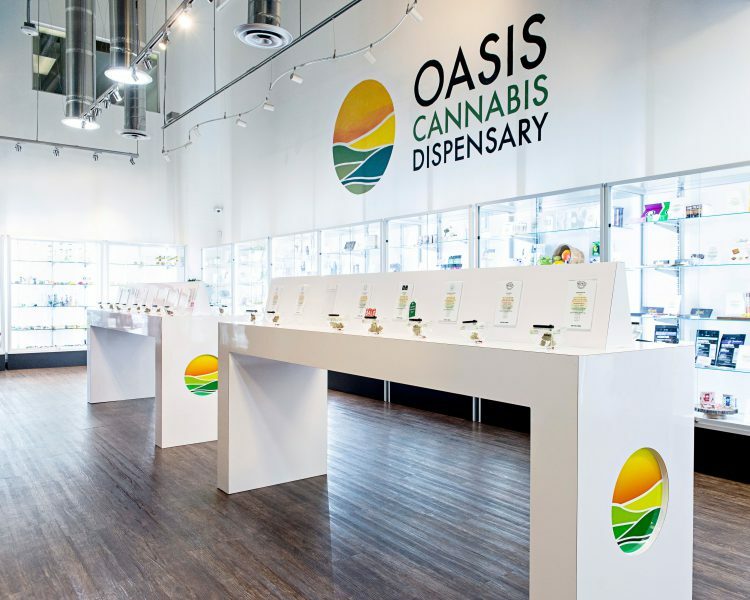 Blog > Dispensaries > Oasis, Las Vegas Has a New Look! Oasis, Las Vegas Has a New Look! You don’t have to travel far from The Strip to find one of the most customer-centric cannabis dispensaries in the nation. Oasis is Las Vegas’s one-of-a-kind experience in cannabis curation, and now they’re taking their already stellar service up a notch. 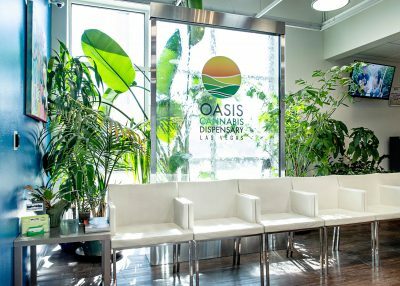 Whether you’re a patient seeking an exotic product, or recreational customer looking for the perfect bud to pair with your night on the town, Oasis has transformed their dispensary to meet your needs like never before. One thing Oasis’ facelift won’t be affecting, however, is their great personality. “While we have upgraded their shopping experience, the one thing that’s NOT changing is our mission,” says Matthew Janz, Vice President of Marketing and Operations. Gone are the days when cannabis consumers were forced to buy dime bags of schwag behind the local convenience store. But have you noticed that some dispensaries still seem to have that seedy atmosphere? Not at Oasis! This is a place where you can really feel comfortable while exploring new cannabis possibilities. 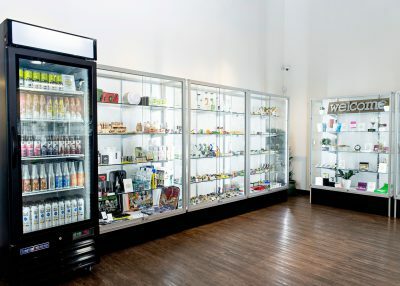 They’ve always had a warm and welcoming environment, but now they’ve added features that make their store seem like the Bloomingdale’s of weed. They’ve opened up their floor, which is no longer blocked off by the two large cases, and added an additional 12 feet of retail space. They’ve replaced the green walls with calming whites and blues so customers don’t feel rushed. Wall-to-wall product cases are categorized for easy browsing. Duplicate displays have been added for the more popular items to give customers more elbow room and increase the relaxed feel. All products are prominently labeled in the LED-lit cases so you can easily see their selections. Best of all, two self-service bud bars let customers get up close and personal with each strain’s specs, including terpenes, THC levels and cannabinoids, without a budtender waiting impatiently to put the product back. Feel free to sniff and examine every strain till you find exactly what you’re looking for. One of their most striking qualities has been a part of the business model from day one. Oasis specializes in helping clients discover the perfect product for their needs. Now that recreational is part of this equation, they’ve redoubled their personal approach. “We don’t want people to come in and feel like they’re just another customer. It’s very important that they feel like part of the Oasis family, so they’re given one-on-one consultation. This allows us to see what they’re looking for and guide them toward the right products,” says Janz. To provide the best customer experience, they fully educate their customer consultants to understand and be able to relate the effects of different cannabinoids, terpenes and the entourage effect. And whether you’re a medical or recreational customer, you’ll receive the same great individual service. The New-and-Improved Community Oasis is Returning Soon! In addition to their other great features, Oasis’s Community Oasis room serves as a community hub for artists, healing services, support groups and education-based programs. The Community Oasis is currently under redesign as well, so it won’t open till Summer. When it does, be prepared for the same incredible programs and a lot of new ones too! They provide most of their programs free of charge, and the rest are offered at a very low cost. So, whether you’re looking to find a new product, seeking to connect with your fellow cannabis community or just want to check out their new digs, there’s never been a better time to stop by and check out Las Vegas’s cannabis leader, Oasis Cannabis Dispensary.